Imagine living in a magical village where you don't need money! Everything is free; you're surrounded by greenery; there's an amusement pier, a fairground and a harbour; and even a free train service to take you to the shops or to see your friends. Everywhere you look there's open spaces and glorious trees ... and the maples are just beginning to turn, so you've got wonderful autumn colours. 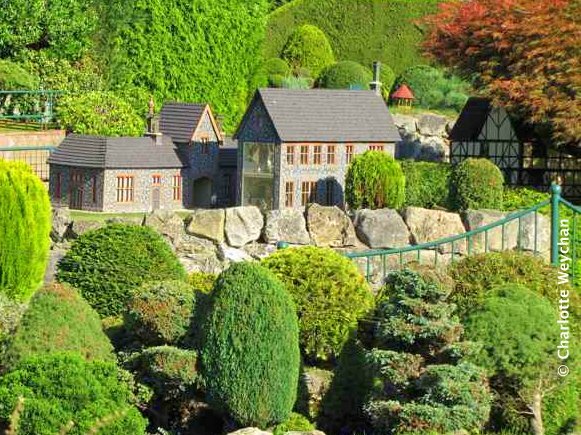 This little Utopia is Bekonscot Model Village in the heart of Beaconsfield, Buckinghamshire - former home of London accountant, Roland Callingham, who had a passion for model railways. 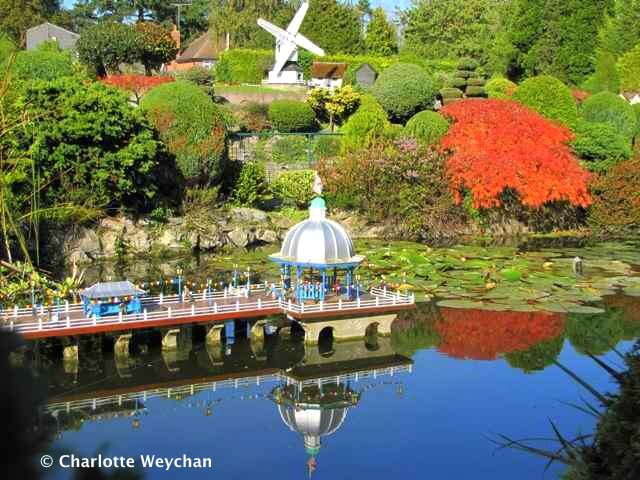 He started building this miniature world some 80 years ago, with the help of his gardener, Tom Berry, and today this two-acre site survives in the heart of commuter-belt Britain, and gives pleasure to hundreds of thousands of visitors every year. This is a classic story of a cloud with a silver lining because this attraction nearly prompted a divorce for its creator! There was a time when Roland Callingham had all his trains in the house rather than outside and his wife finally gave him an ultimatum and said that he had to choose between her and his hobby, because she could no longer live with all the locomotives in the home! So following construction of a swimming pool in the garden in 1927, Bekonscot's creator moved his trains outside and started work on the buildings that make up the village today, including the pier (above) which lies at the heart of the former swimming pool. Trains here run on the largest Gauge 1 railway in the UK and were built by well-known model railway manufacturer Bassett-Lourke and while they provide the focus for railway enthusiasts, gardeners will be amazed by the immaculate landscapes here at Bekonscot, tended by full-time teams of specialist gardeners (below), well versed in the art of bonsai. It's quite a sight to behold when you see the density of planting! Bekonscot is open until the end of October, but closes during the winter months - for full information check website through the link above. 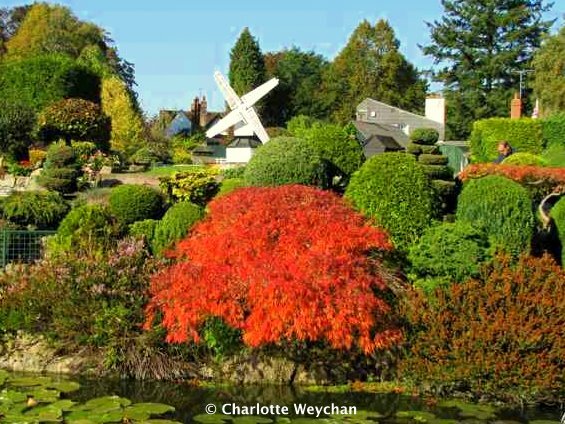 But even as a gardener, it's certainly worth a visit to marvel at the planting! Combine this with a visit to nearby Waterperry Gardens and you'll get the best of both small and large-scale gardening, and a day to remember. This is an interesting story. Roland is a smart guy who solved his problem creatively. How interesting! I can't imagine constructing this garden - so much detail. 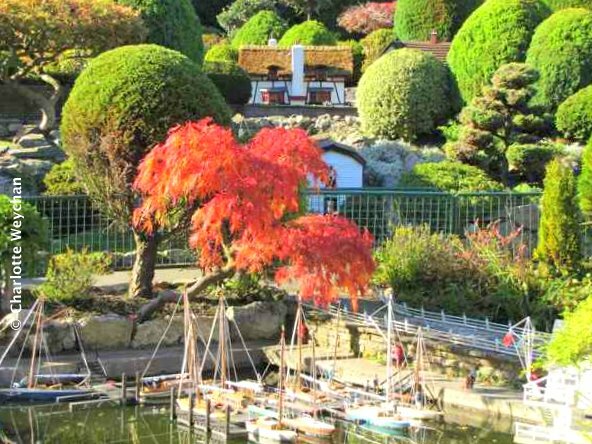 I have often considered a miniature garden of my own but nothing as great a scale as this - no pun intended. That would be a sight to behold! His ingenuity and love of model trains lives on today due to his creative answer to an ultimatum! Hmm...lesson here for some I'm sure. What a beautiful place! So much detail too. I wish I lived closer and could see this in person.